In recent years, our community has watched with hope as pre-clinical data has emerged showing the promise of gene therapy as a valuable treatment for everyone living with Duchenne Muscular Dystrophy. The year began with much hope: THREE companies, Solid Biosciences, Sarepta and Pfizer, began dosing patients in separate clinical trials using this approach. And this week has seen exciting developments. Solid Biosciences announced that the U.S Food and Drug Administration (FDA), had lifted the clinical hold on IGNITE DMD, the company’s Phase I/II clinical trial for its investigational microdystrophin gene transfer for the treatment of DMD. Read their press release here. Solid Biosciences has dosed one patient so far and they are now free to continue to dose patients. In 2014, Duchenne UK, Joining Jack and the Duchenne Research Fund, committed $5million to help Solid Biosciences with its gene therapy programme. We are extremely proud to have played a small part in helping to accelerate the development of this treatment. Sarepta Therapeutics announced positive preliminary results from 3 of its patients dosed in its Phase 1/2a gene therapy clinical trial, conducted by Jerry Mendell M.D of Nationwide Children’s Hospital. All three children showed that they were producing micro-dystrophin in their muscle fibers. They also saw a significant drop in an enzyme known as creatine kinase (CK) which is indicative of muscle damage. No serious side effects were seen. Read their press release here. These are encouraging strides forward! We want to thank ALL OF YOU – OUR WONDERFUL DONORS – for supporting us, and raising the money we so desperately need to accelerate change and accelerate drug development. However there is still so much work to be done, and we have many stages to get through before these potential medicines become approved treatments for everyone in desperate need. And we have been getting on with addressing some of these challenges in the last 2 years. 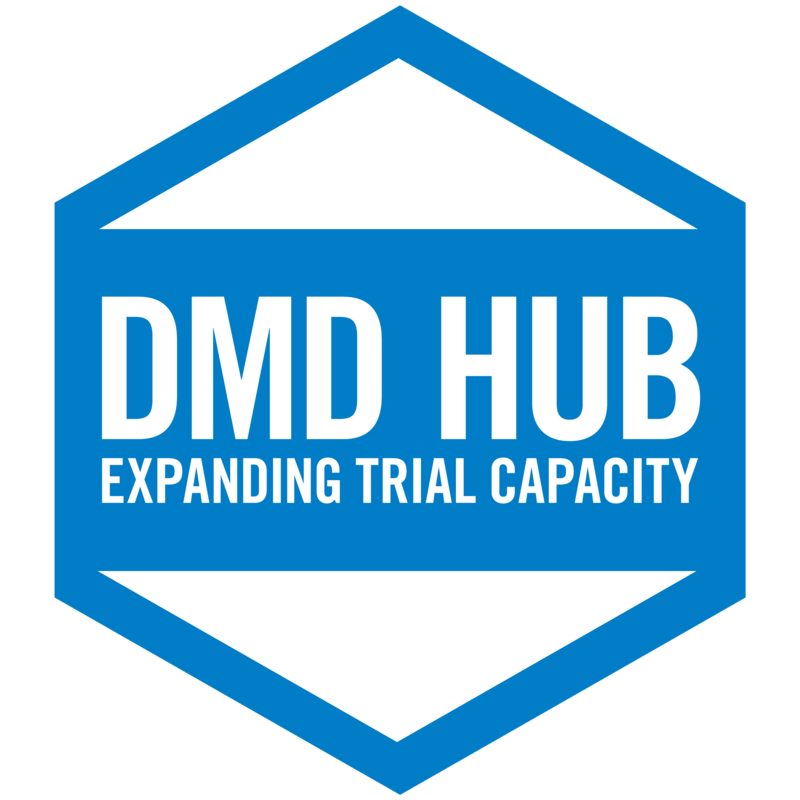 This is why we have spent more than £2million on expanding clinical trial capacity through the DMD HUB. What does this mean? It means that we are funding doctors, nurses and physiotherapists who are going to run these clinical trials if they come to the UK. It means we are working hard to make sure that when ANY promising trial gets started, we have the space to run them in the UK. And if you want to find out where trials are happening, SIGN UP to our HUB newsletter and use our CLINICAL TRIAL FINDER. This is why we launched Project HERCULES – because we can’t accept the possibility that a new treatment option currently being investigated might then be delayed because the right kind of evidence wasn’t being presented at the right time to HTA bodies like NICE, who utimately decide whether governments and health systems will pay for new medicines. HERCULES stands for HEalth Research Collaboration United in Leading Evidence Synthesis. Through HERCULES, seven pharmaceutical company partners developing treatments for DMD are working with Duchenne UK and the Universities of Sheffield and Leicester, to generate, align and share disease-level data across an entire condition for health technology assessments. This is a completely ground-breaking and unique collaboration. And it’s also WHY our Director of Research is out meeting researchers, companies, clinicians looking at ways in which we can help expand the potential that gene therapies offer. And it’s also WHY we are investing millions in developing other treatments that will complement gene therapy. Next week our co-founder Emily Crossley has been invited to speak at the NICE conference, about the unique approach of Hercules. You can read her blog here. And in the same week our co-founder Alex Johnson and our Director of Research, Dr David Bull, will attend the annual conference organised by our dear friends at PPMD in Arizona. There they will learn about what now needs to happen to expand these opportunities to as many patients as possible and meet with fellow patient organisations and researchers to keep pushing the possibilities that gene therapy offers.